21/10/2014 · Trace the pieces onto another sheet of cardboard and cut them out, making them a little smaller than the first set. Use hot glue to put the first set back …... Cut out a "turtle" shape to fit beneath your chosen rock - the head, four feet and a little pointy tail. Glue your rock onto the cardboard cutout. Plait your string and wind it around in a swirl to make the turtle "shell". 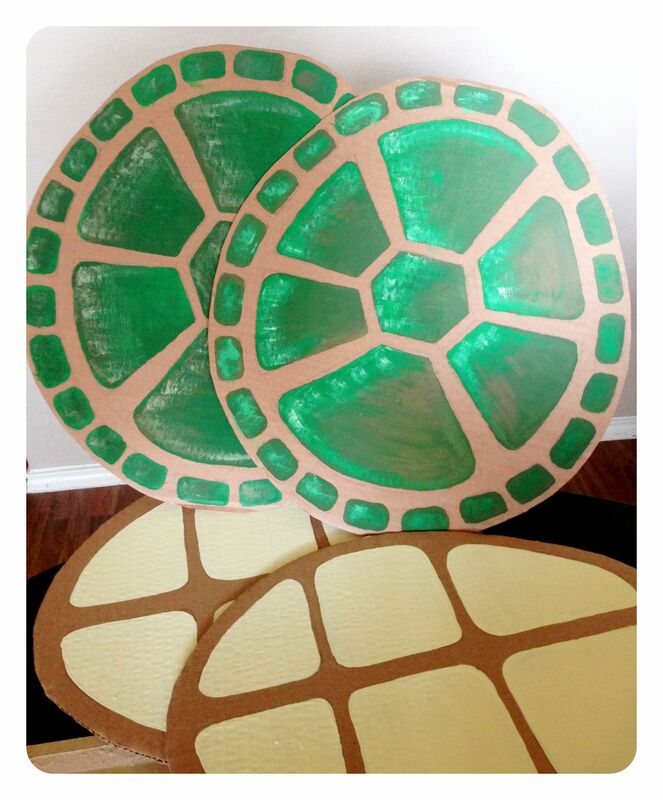 Using the green felt, you’re going to cut out a larger oval for the shell. You want it to have enough overhang so you can stuff it with fluff & still have room to glue it around the back. I placed my cardboard oval on top of the felt & used a Sharpie to make dots maybe 3 inches larger than the cardboard, then used them as a guide when cutting. PS you might as well double up your fabric & cut... I had originally thought about doing a "jig" out of foam, like a half shell to make it easier to weld, but I ended up using magnets and using one hand to hand to hold the piece study, and another to do the actual weld. I welded the bottom first, then the top. I held off on making welds all around the 1st rib, until I had all the others in place. 14/04/2018 · If you choose to make your shell out of felt, you will need some dark green and light green felt along with a few other items. Make sure you purchase enough dark green felt to create an oval which will cover your back, as well as another oval 3 inches (7.6 cm) larger than the first. You will need half as much light green felt. 16/10/2014 · So I proceeded to make her a turtle shell out of foam. Using a razor blade and some scissors, I cut out different shapes on the foam. Using a razor blade and some scissors, I cut out different shapes on the foam.